Brigham Young led the first mass migration over the Mormon Trail to the Great Salt Lake in 1847. The north bank of the Platte was chosen to avoid contact with the travelers on the heavily-used Oregon Trail that follows the south bank of the river from near Kearney westward. Among the expeditions which followed, were several so poor that pioneers walked and pulled handcarts. 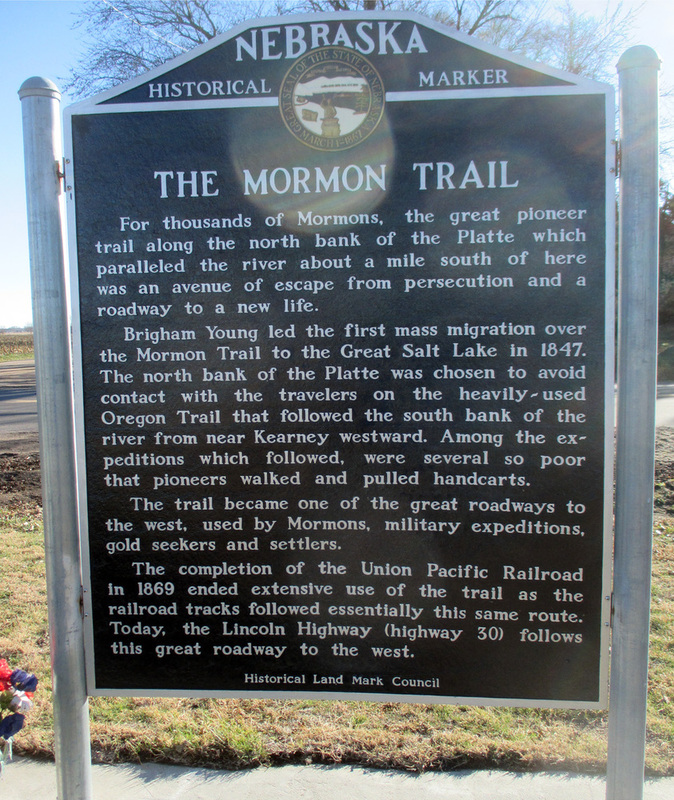 “The Mormon Trail,” Explore Nebraska History, accessed April 18, 2019, https://mynehistory.com/items/show/358.